Harnessing the variety of skills and perspectives that span all the generations in today’s workplace will enable organizations to truly innovate, say NACUBO 2019 Annual Meeting keynoters Sarah Sladek and Josh Miller. She’s a Gen Xer. He’s a Gen Zer. 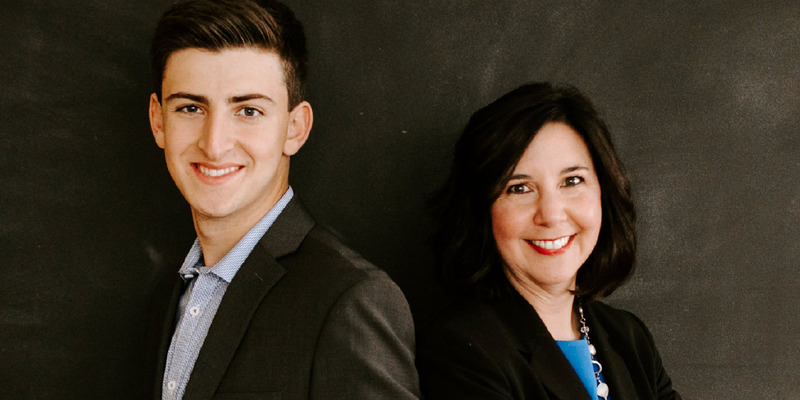 Put them together and Sarah Sladek and Josh Miller offer multigenerational intelligence for businesses and organizations that want to engage younger talent or grow their membership. Sladek is chief executive officer of XYZ University, a generational research and management consulting firm she founded in 2002, in part based on her growing awareness of the lack of intentional succession planning within many organizations. The firm’s researchers and strategists work with leaders to help them better understand Generations X, Y, and Z—those next in line to assume the mantle of leadership from retiring baby boomers. One of those strategists is 16-year-old Josh Miller. When he isn’t focused on graduating from high school, Miller is busy as director of Gen Z studies at XYZ University, consulting organizations on how to recruit, retain, and market to his generation. By sheer volume, Generation Y—more popularly known as millennials—represents the largest shift in human capital in history, Sladek says. As such, millennials present a strategic opportunity for employers to maximize workplace engagement. While not as mighty in number, Generation Z should not be underestimated. Comprising those born since 1996, this generation has recently begun entering the workplace and populating college campuses across the nation. Sladek and Miller, who will present the NACUBO 2019 Annual Meeting keynote session on Sunday, July 14, in Austin, recently collaborated on the January 2018 white paper Ready or Not, Here Comes Z. (Read also “Austin Attitude”. )Based on a global study of more than 1,800 Gen Zers worldwide, their report details the attributes and motivations of this youngest workplace cohort and how Gen Zers are likely to influence the future of work. 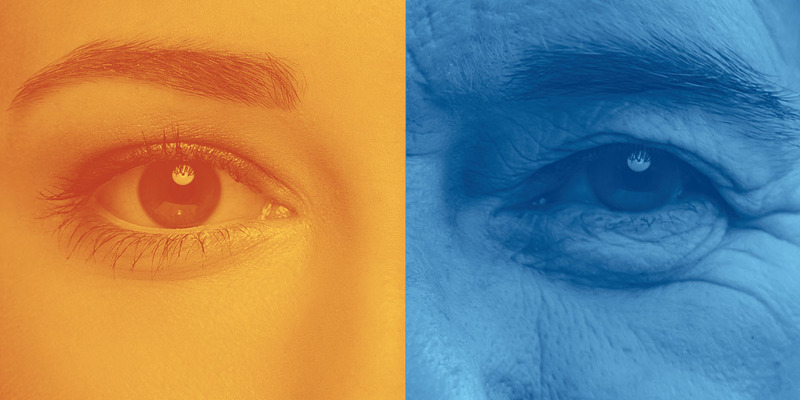 In this interview with Business Officer magazine, Sladek and Miller offer their takes on the advantages of a multigenerational workplace, including how to value and give voice to each generation and every individual. What is the most striking finding from your research on generational differences that you think employers haven’t fully internalized or embraced? SLADEK: Something we don’t spend much time talking about is that baby boomers have held the workforce majority for more than three decades. That’s considerable. It’s also a really long time to have the same generation in leadership. It’s no wonder that we’ve grown used to certain traditions, policies, and practices that they helped put in place. Baby boomers will remain a defining generation. They laid the foundation for, and built up, many organizations. They were raised to care for the country and appreciate public service. That’s extremely valuable. Yet, it’s also time for us to hear other voices and be thinking about who and what is coming next. Are employers prepared for new leadership from younger generations? SLADEK: Because we remain tied to many of our set traditions, there is still some hesitancy to truly engage young people. Many tend to think younger workers will come around to established workplace norms. In truth, we have seen tremendous shifts in human capital accompanied by big shifts in economics, consumerism, and technology. Everything about how we work and what we value has changed in recent years. Now that we’ve transitioned into this post-industrial era, we’re finding that younger people truly have different values, interests, aims, and expectations, and work very differently. Many organizations are still struggling to adapt and keep up with that change, and the best way to do so is to be in conversation with young professionals. Josh, how did you get started consulting with various groups about generational issues? MILLER: I’ve always had a passion for entrepreneurship, and I started thinking about how I could turn my age into something that would give me an advantage in the marketplace, rather than something that would hinder me because of my lack of experience. When I was 14, I founded a company called Deciding Edge, which is built on the premise that younger generations should have a voice in the boardroom. That’s where I found my niche and started using my perspective to my advantage. When you meet people who may have decades of work experience, how do you build credibility with them? MILLER: The obstacle for many is that I am still a junior in high school. I would argue that, when you take that authentic perspective of someone who is a member of Generation Z and who interacts with Gen Zers every day, then couple that point of view with the industry research we do here at XYZ University, the result is a powerful perspective that truly allows me to have my finger on the pulse of Gen Z. You can reference as many surveys as you want from big data firms, and those are valuable, too. But, when you pair that data with an authentic perspective, that’s when you get the real picture. Let’s spend less time talking about Gen Z and more time talking to Gen Z. As an industry steeped in tradition and hugely dependent on a human workforce, how do you think higher education should rethink talent acquisition to increase its appeal to younger workers? SLADEK: It starts with whether leadership is fostering a culture of inclusion. When you bring multigenerational, multiskilled groups together, you begin to create a community that is adaptive and innovative. Our research indicates that organizations with the greatest employee engagement and the ability to innovate and change tend to have two traits in particular: They put people first, and they are very future focused. Putting people first means valuing them even more than profits and considering not only years of experience, but also their skills and ability to innovate. What do you mean about organizations being future focused? SLADEK: For many organizations there remains an emphasis on hierarchy or tenure and a sense that we’ve always done it this way. I don’t want to insinuate that you have to throw out all your traditions. Traditions can be valuable and meaningful. But it’s equally important if you want to remain relevant in an era of fast disruption that you spend time thinking about your future and generating new ideas. The best way to do this is by talking with younger people, paying attention to trends, and asking where, as an organization, you want to be in 10 years. Traditions, alongside innovation, can be quite powerful. What traits are Gen Zers looking for in employers? MILLER: One thing that differentiates Generation Z is that workplace engagement actually matters less to Gen Zers than it has to previous generations. What’s most important to us is compensation and benefits. I know many HR leaders who have spent the past 20 years building workforce engagement plans and strategies may find that difficult to hear. But, the reality is that Generation Z is a group of realists and pragmatists that views work primarily as a way to make a living. Part of that has to do with growing up during the Great Recession, and part has to do with our parental influences. We are, for the most part, the children of Gen Xers. By some accounts, our Gen X parents lost more than half of their wealth during the Great Recession—at a time when many of them were moving into leadership positions. So, we’ve seen firsthand how they’ve had to deal with their own economic obstacles and learn to weather volatility. As opposed to millennials, who generally crave work-life integration and prioritize finding a job that is fulfilling over one that simply pays the bills, Gen Zers prefer work-life separation and a job that offers financial stability. That’s not to say Gen Zers don’t also desire an enjoyable work environment, but financial stability takes precedence. What else will be important to Gen Zers as they enter the workforce in larger numbers? MILLER: According to our global research study, workplace priorities for Gen Zers include a flexible schedule; the opportunity to learn, create, and advance; and a community focus. As a generation, we are more independently driven, and that typically causes us to prioritize personal well-being over communal well-being. This focus also underscores the competitive nature of Gen Z. Our relationships with grades, sports, and even social media have contributed to that competitiveness. What advice would you give to leaders who want to enhance cross-generational work and make sure that the work environment is productive and satisfying for all? SLADEK: Leaders must make sure that discussions about the future of our organizations or about daily matters are designed to encourage feedback from every group. One organization we’ve worked with has made it a priority to ensure that every committee, board, decision-making group, and meeting has at least a 30 percent representation of people who are under age 30. That’s one example of being intentional about hearing every perspective and opinion. How do you think Generation Z will break the norms of a traditional career path? MILLER: First, it’s important to recognize how the economy plays into how different generations view their career opportunities. I think Gen Z will have the luxury of entering the economy at a time when our labor and our talent is really needed. Leadership opportunities are there, and they haven’t necessarily been there right away for other generations. At the same time, Gen Zers are hungry for knowledge from those who can offer advice. That leads to a whole other conversation about mentorship, which I think should be prioritized. How do you think mentors can help Generation Z? MILLER: They can help Gen Z with understanding how communication works at that corporate, adult level. How do we present ourselves in the business setting? What does it mean to grow up? If we have those kinds of mentors and advisers along the way, that’s really going to help us. For me personally, I have the most respect for leaders, such as Warren Buffet, who are extremely successful while also being very philanthropic, genuine, and people focused. What do you think the different generations can learn from each other? MILLER: As I mentioned, what I think the traditionalists, baby boomers, and Gen Xers bring is that life experience that is so valuable, and an understanding of how things work that the younger generations can use to drive innovation forward. In turn, I think that millennials and Gen Zers bring a modern perspective. We are the first generations of the digital, post-industrial age, where things are not as hierarchical or necessarily moving in a straight line. My generation is also the most diverse generation in history. In fact, in 2020, fewer than half of those who are 18 years and younger will be white. It’s pretty amazing to understand how that diversity helps shape our world view and how we are diverse in a racial context. From a social perspective, we’ve really been brought up to celebrate that kind of openness, which, along with our technological expertise, is something that both millennials and Gen Z can bring to the table. It seems that Generation X has often been overshadowed because it is sandwiched between millennials and baby boomers. What contributions have Gen Xers made in the workplace? SLADEK: I am a Gen Xer, and we are kind of the middle children—the Jan Brady of the workforce that gets overlooked between Marcia and Cindy. A big part of that is simply numbers. Boomers and millennials are two of the largest generations in history. By comparison, Gen X is very small. And yet, as the middle children, Gen Xers have learned to be extremely adaptive and gritty. We’re also collaborative and able to relate to senior boomers and get along well with millennials and younger people. In fact, the name Gen X was given to this generation because we were born at the crossroads of cultural and social change. I think we’re starting to see Gen Xers speak up and express desire for their turn at leadership, and that we’ll soon start hearing more about Gen X and its contributions. What trends and events would you say have shaped millennials, especially as they impact the workplace and consumer and social behavior? SLADEK: For millennials, the Great Recession introduced a sense that life is short. It instilled a desire to ensure that they find a job they love and a purpose in life. Millennials are also a generation of many firsts. They are the first to be raised using technology and to be rewarded for participation rather than achievement—hence, the “trophy kid” label. They also came of age during a major shift in how children were raised. They were the first generation to really have a voice in household purchasing decisions. Diversity and globalization also began emerging as trends as millennials were coming of age. Josh, as you talk with your friends and other Gen Zers about higher education, what are you looking for in your potential college experience? MILLER: I’m currently a junior in high school, prepping for the ACT and analyzing my options and priorities for the next chapter of my life. Personally, I’m looking for a school that offers a modern approach to learning, while focusing on impact and real-world experimental education, and on helping students find a place in this world. That said, while Gen Zers place a lot of importance on formal higher education, we really do care about cost and what we will get from a college degree. We’re also pretty focused. In the past, people went to college to figure out what they wanted to do with their lives. Many Gen Zers already have a good idea of what they want to do for a living, and so we look at college as a way to develop those skills. In comparison to millennials—who have often been criticized for their delayed adulthood—Gen Z is showing signs of early adulthood. We’re thinking about our career paths and exposing ourselves to career training at earlier ages than did most millennials. Additionally, available jobs will determine the career paths of many Gen Zers. In this labor market, we are in serious need of skilled trade workers. The reality is that someone can become a plumber or construction worker and can make a lot of money at a very young age with little to no college debt. Many Gen Zers are starting to realize that skilled trades may not be a bad option for economic success. That said, our most recent research study found that 86 percent of Gen Zers are currently enrolled in college or plan to attend college after high school. Sarah, what do you think that higher education administrators or the industry must do to address the needs that Josh expressed? SLADEK: Gen Z is definitely changing education, and we’re seeing this in the lower grades as well. One other thing we found from our survey was Gen Z’s preference for interactive education. It’s becoming more difficult for students to learn by sitting and listening. I think institutions have to know their value proposition and who is coming next. The only way to do this is for campus leaders to spend time in high schools and middle schools getting to know Gen Z, so that they can develop an educational experience that will appeal to this next generation. Josh, what do you think most people misunderstand about your generation, and how do you plan to address these misperceptions? MILLER: While it’s often assumed that Generation Z is focused solely on technology, our study actually found that talking face-to-face is our preferred method of communication. In fact, our research found that cell phones and other electronic devices are actually primarily used for entertainment and are tasked for communication only when a face-to-face option isn’t available. That’s not to say that online engagement isn’t important. Gen Zers still spend a ton of time online, and we’ve really only known a world with technology. But, when we’re communicating about something that matters to us, we seek authenticity, which most would agree is best achieved in person. I think organizations that value face-to-face meetings and prioritize personal connections, along with modernizing technology and embracing it, will be the most successful with engaging Gen Z. That goes for workplaces, businesses, associations, colleges—pretty much any entity. Sarah, where is further intergenerational research needed? What questions remain in terms of impacts to culture, community, and the workplace? SLADEK: The younger members of Generation Z are now 10 years old. In the coming years, researchers will start thinking about the next generation beyond Gen Z, trying to figure out, once again, what trends are on the horizon. More broadly across all generations, a big question that remains is the role of artificial intelligence and how that’s going to change the workforce andour communities. Within that context, I believe that there will be an even greater call for organizations to think about their teams and prioritize talent. We absolutely must begin to think about the fact that, in the United States, since the year 2000, 70 percent of our workforce has disengaged every single year. Despite our awareness that we need to prioritize talent and think about team building, collaboration, and innovation, we find that many organizations are still struggling to make a shift. In the coming years, alongside more demographic and technological change, our organizations will need to get really serious about talent—how we build it, how we keep it, and how we treat it. ANKUR T. PONDA is director of member engagement, NACUBO. MILLER: The key to working effectively and cohesively across generations is to shed any sense of generational superiority, because every generation has something to learn and something to teach. SLADEK: Humility and collaboration are among the traits of successful leaders today. Successful organizations must start from a place of less hierarchy, less ego, and putting people first. 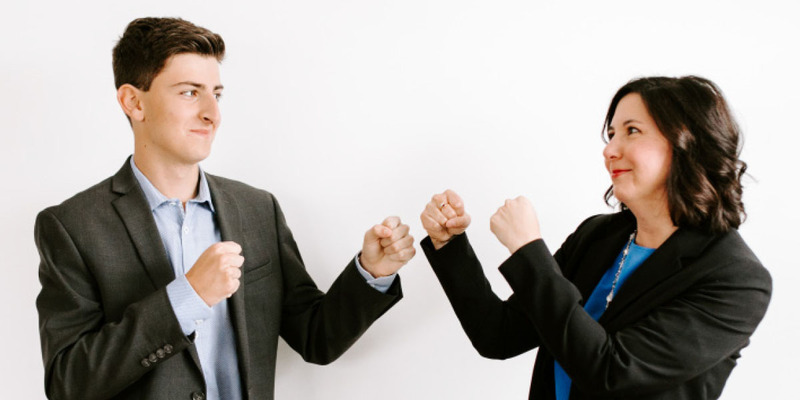 Sarah Sladek, a Gen Xer, and Josh Miller, a Gen Zer, both from XYZ University, a generational research and management consulting firm, share some of their preferences. SLADEK: Zulily (a shopping app). MILLER: Spotify (a music app).